The Gigscene project is for our dear French client. :) It helps starting bands in self-promotion. Thanks to the application, they can present their work simply and in one place. 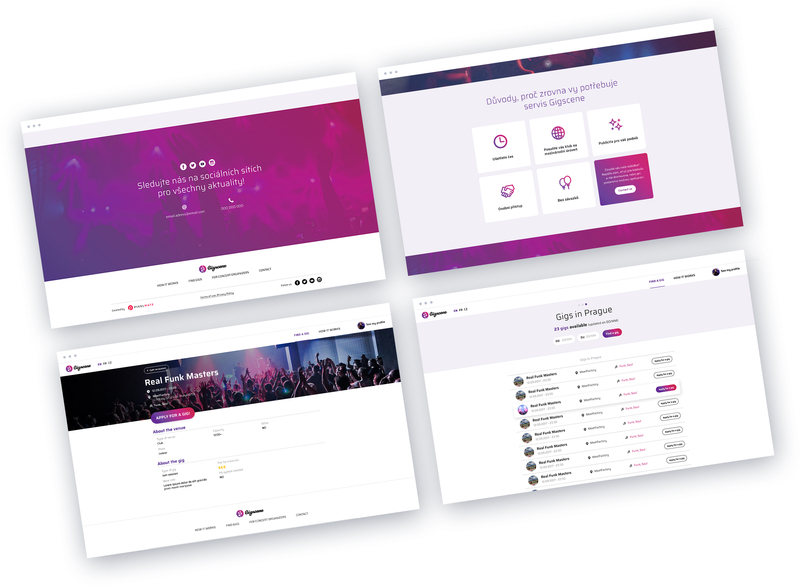 We created a complete identity for the Gigscene web application, including the logo, frontend and backend. The project connects the beginning bands that need to build a community of fans and also the bars and clubs that give them the opportunity to make their way through. We put emphasis on creative concepts and simplicity. Gigscene is a typical start-up that starts in France and is intended mainly for Europe.